When you work a lot of hours in a week, time with the family may seem scant more often than not. That said you do not want to give your family the idea they are taking a back seat to work or anything else for that matter. So, how do you go about making sure your family has enough quality time together? If you’ve been thinking you do not have enough time or options of things to do with your family, think again. What’s on TV or the computer? – After a long day of work, are you even too tired to sit down in your favorite chair to watch television? While you do not want you or your family at home for that matter becoming TV junkies, there are many options to view. With that in mind, have you checked out movies and shows from Netflix? This streaming service continues to grow in popularity with both families and individuals. As a result, your crew should have no problem finding quality entertainment in your home. From current shows and movies to classics, enjoy Netflix or other such services. And if you’re tired of high cable bills, a streaming service could be exactly what you are searching for. Time for a vacation? – Some families can’t get away for vacations as they would like to due to tight financial constraints. As a result, there are missed opportunities for some fun times together. That said there is no reason you can’t scale back trips and still get away for some fun and create memories. If money is tight, think about doing a day trip or even a weekend getaway. More times than not, you will not spend a lot of money while still having a fun time. Use the Internet to help you track down savings no matter how long you plan to get away. You can find savings on airlines, hotels, rental cars, eateries and more. Although you may not think the savings are all that great, they do tend to add up over time. Childhood activities – Last, if your kid is into sports, theater or any number of other activities; do your best to go. Many kids partake in such events for a variety of reasons. No matter the reason, their faces will light up when they see you out there cheering them on. If you participated in such activities as a kid, didn’t you have a smile when you saw a parent or parents at your events? Such moments can make for great family times now and down the road when you look back and remember them. 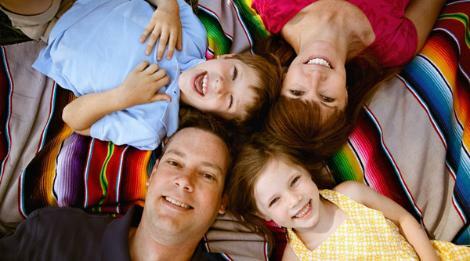 In finding ways to spend more and better family together, will you come up with all the right answers? While you have to be away from your family at times, the times you spend together should never be taken for granted.